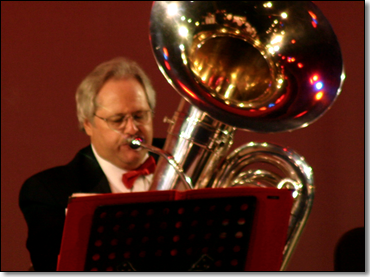 David Schaafsma, an Ontario Chaffey Community Show Band and Pomona Concert Band tubist, attended California State Polytechnic University, San Luis Obispo, from 1971-76 and California State University Long Beach from 1977-78 where he studied tuba under Jim Self and Stephen Klein. 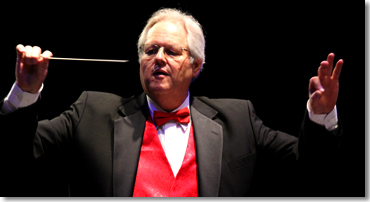 He was the Musical Director of the Long Beach Junior Concert Band from 2007 thru 2012, where he had previously served as Assistant Director from 1976 until 1982. From 1982 until early 1984 he was the Assistant Director of the Los Caballeros Youth Band in Carson, California. He then founded and directed the Sound Machine of the Inland Empire Youth Band that was based in the Upland - Chino area from 1984 until 1999. The Sound Machine was the first band to march down Euclid Avenue when the city restarted the Ontario All-States July 4th Parade in 1991. The band also traveled throughout the western United States and Canada performing in parades and field competitions. The bands he instructed captured more than 70 parade musical sweepstakes and high field show music awards. He is a past member of the Southern California School Band and Orchestra Association, the All-American Judges Association, which later became the Southern California Judges Association, and was a band adjudicator throughout Southern California from 1983 through 2005. He has been a member of the Show Band since 2003 and the Pomona Concert Band since 2005.